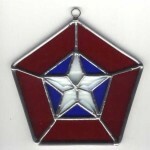 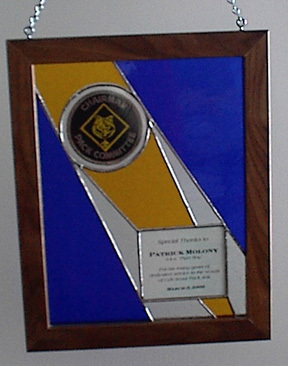 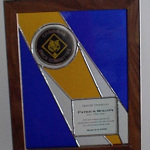 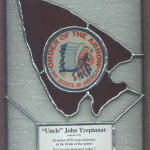 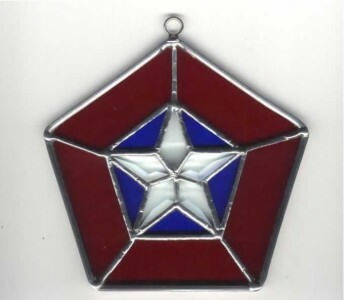 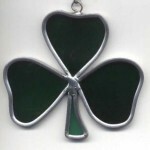 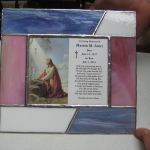 Plaques and gift items are made on an as-ordered basis only. 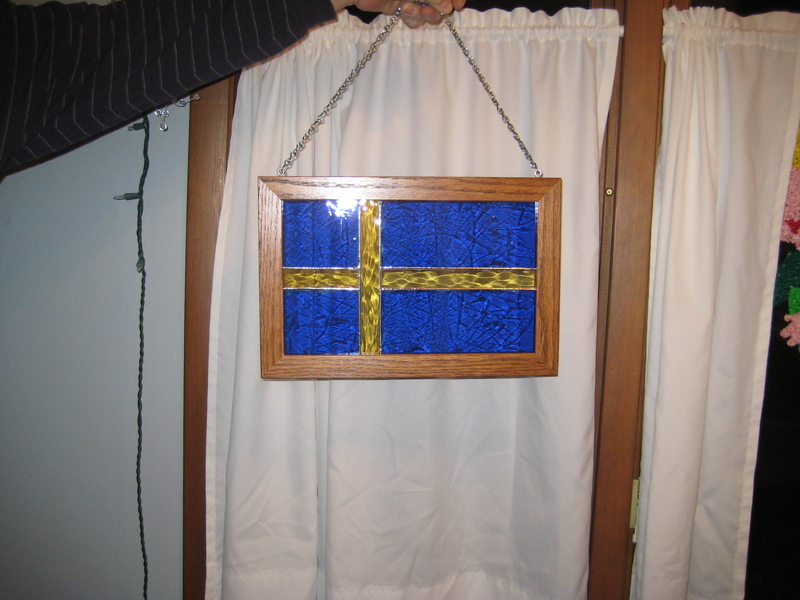 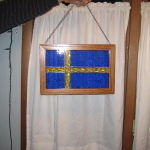 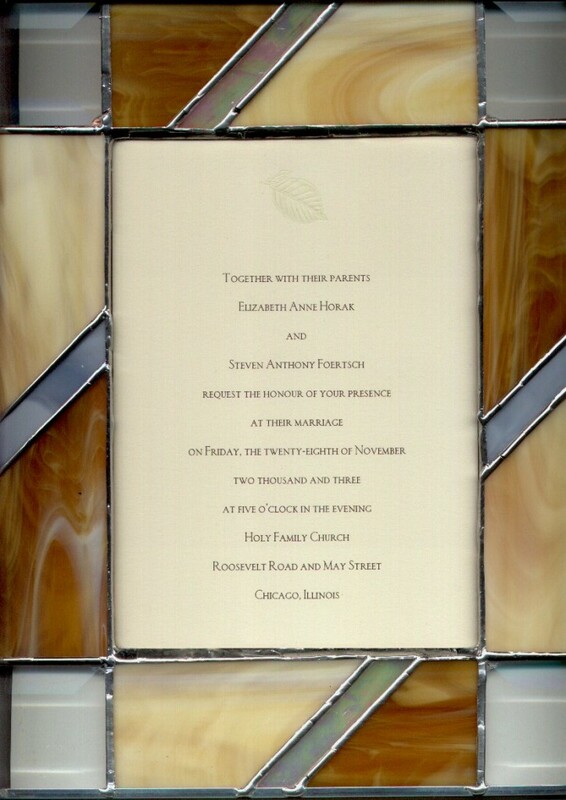 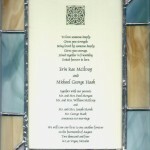 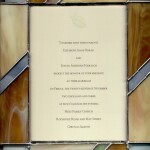 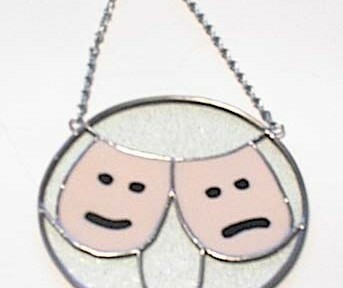 A unique wedding gift…we took the wedding invitation and designed a stained glass plaque. 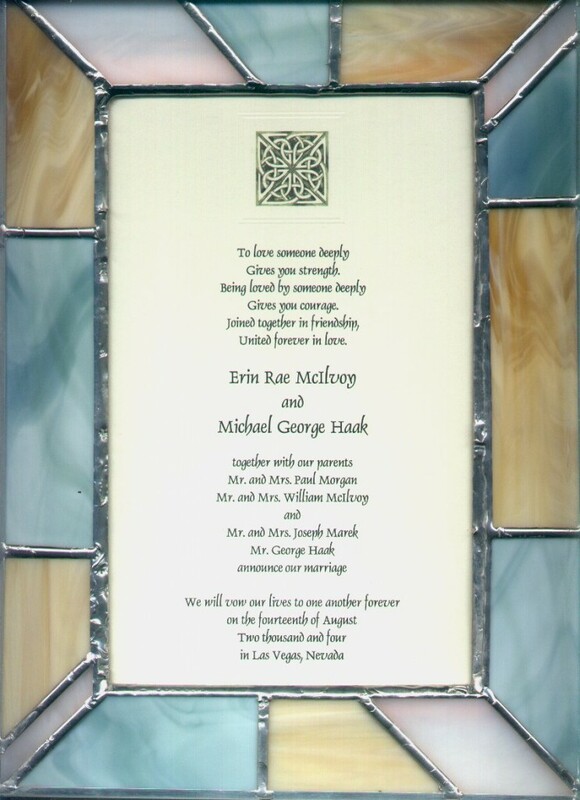 This beautiful keepsake measures approximately 11″ x 14″. 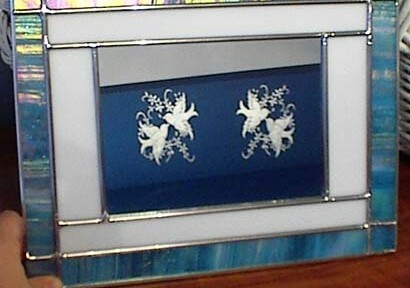 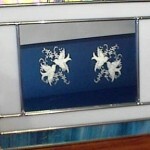 This piece has a mirror center, with birds etched into the glass. 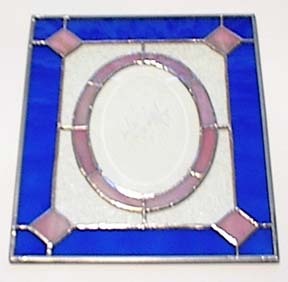 The oval bevel on this piece is etched with two birds. 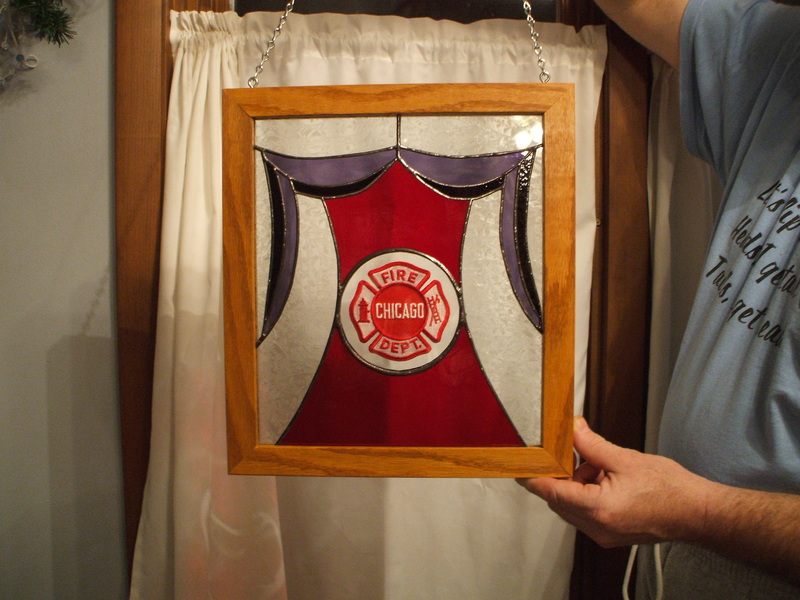 Ballroom Dancers – we created this piece for our dance instructor. 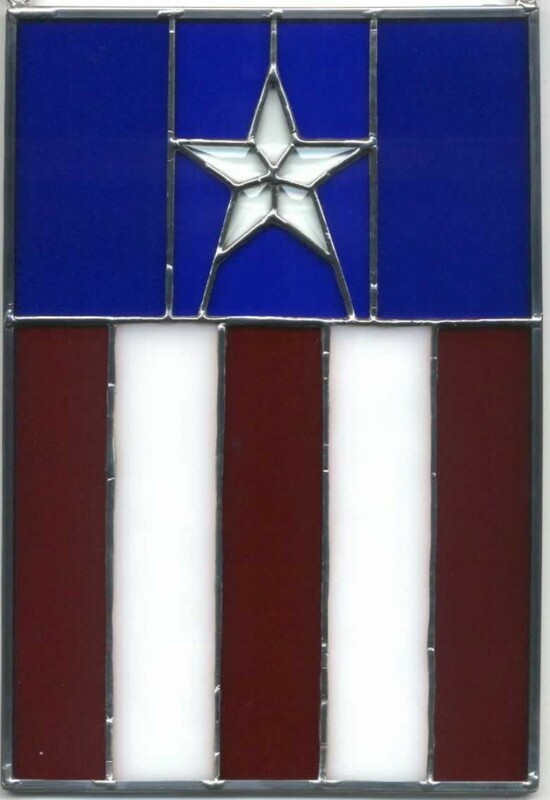 We pulled the graphic off of a clip-art image on our computer. 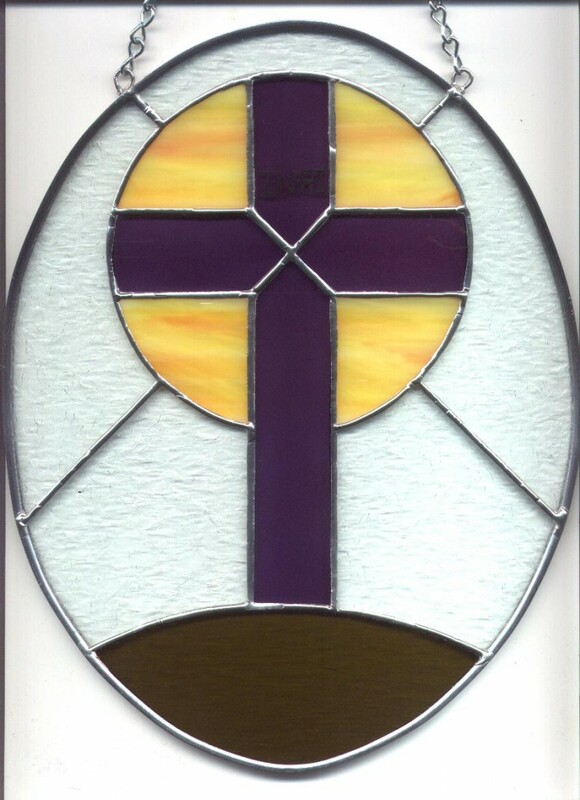 Then we enlarged it and transformed it into a stained glass design. 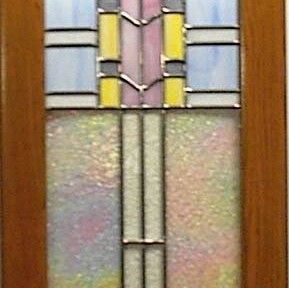 The piece measures 9 x 12. 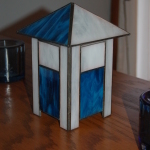 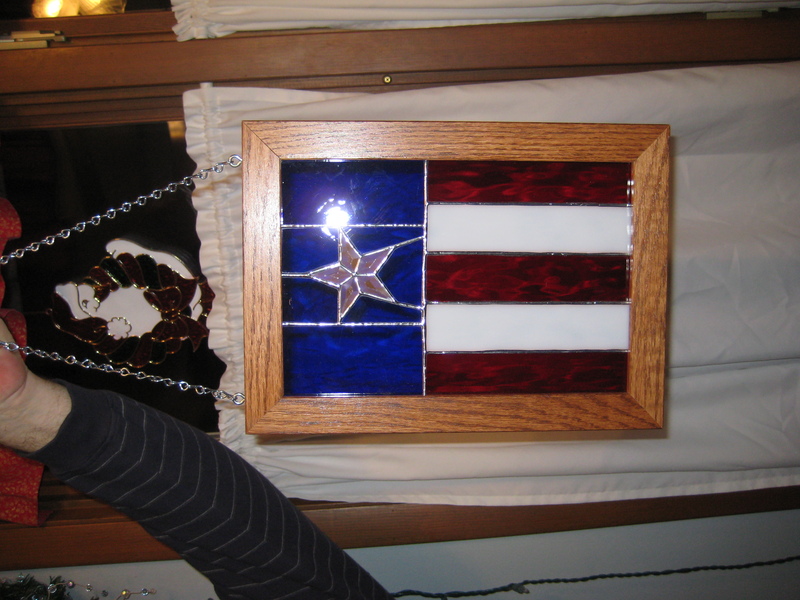 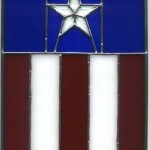 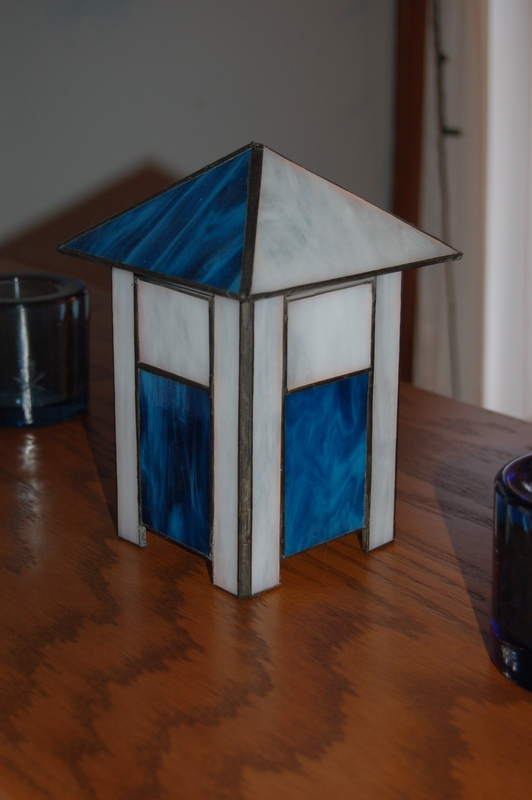 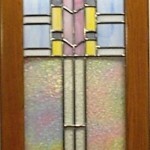 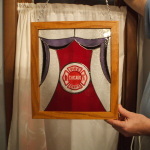 This piece was made for the drama club leaders in our homeschool group. 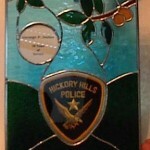 This piece was made for a retiring police officer. 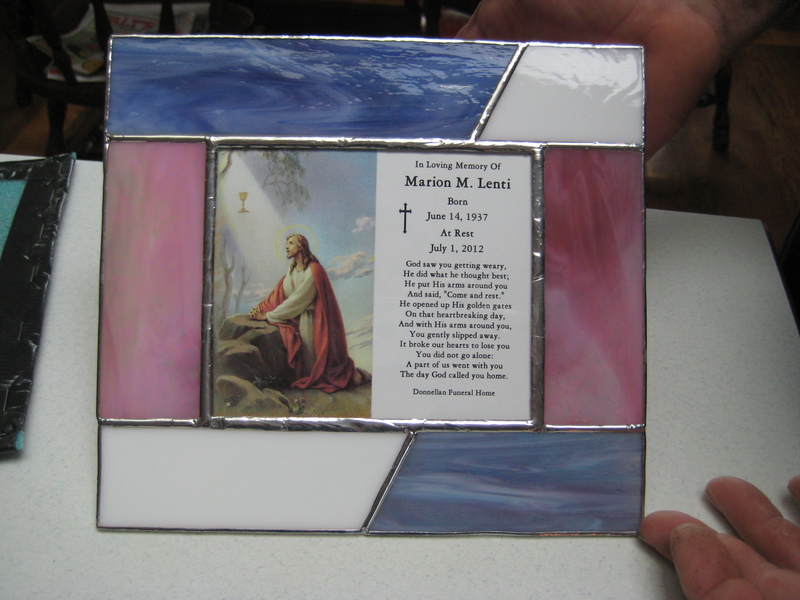 This is a memorial plate. 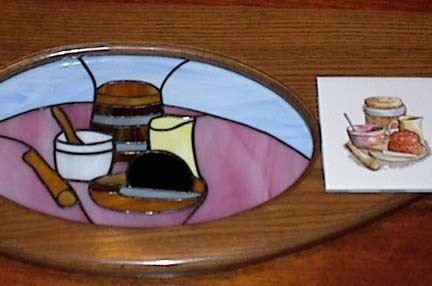 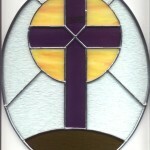 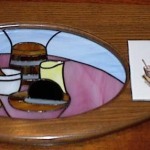 The piece measures approximately 8″ in diameter. 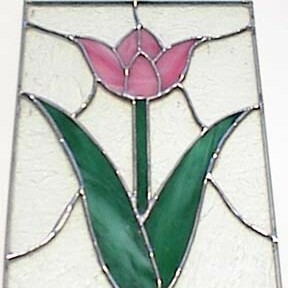 Florals always make great gift ideas! 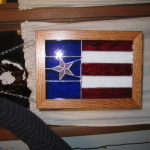 We can create a one-of-a-kind design just for you! 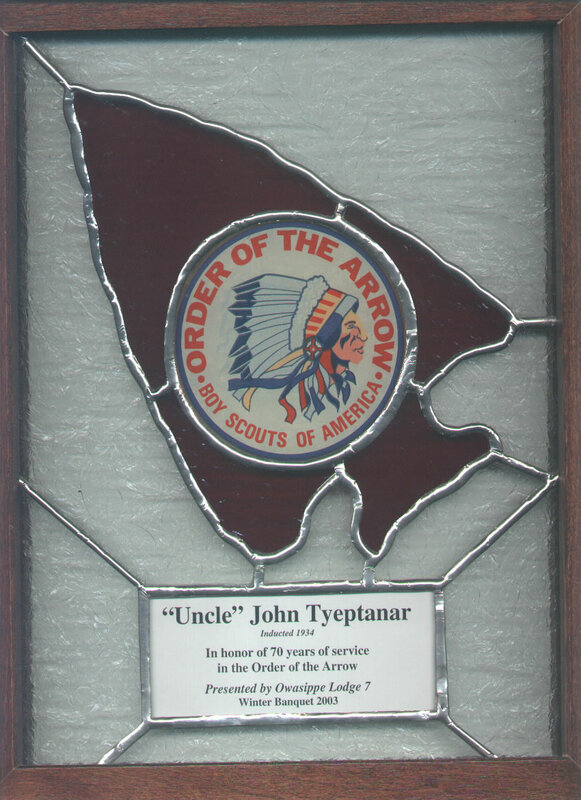 I was wondering how much the eagle scout with the scout law on it is and what is the turn around time?